On January 12th 2012, it was announced on various indie author and reader boards that author L.C. Evans had passed away the previous evening finally losing a hard-fought battle with cancer. I have had no previous personal dealings with LC, but The IndieView is leading a tribute and being a site that supports indie authors and their readers, I’ve elected to participate in her tribute in the most obvious way – to review one of LC’s works. Shane finds himself faced with the prospect of attending summer camp again. To spite his parents he chooses the worst-sounding camp possible, but will his rash action come back to bite him? Night Camp is a book probably aimed towards 9 – 12 year olds and would make a good reader for boys in particular. Shane and his cousin Brad end up in a camp where all the activities are at night and the campers sleep during the day. The tabloid-wielding Brad becomes convinced that camp leaders, Colin and Trevor are actually vampires and in convincing Shane, commences an investigation to find proof and a way out of what has now become a very dangerous camp experience. This story was a lot of fun and written well for the target age group. The simplicity in style didn’t blunt the intrigue at all and I found myself eagerly anticipating how the author was going to resolve the mystery. Additionally, you did get some insight into Shane as a main character: his reactions to feelings of abandonment, his discomfort around girls and his growing unease about the decisions he was making. Young children do like to get a bit of a scare and I think this book delivers without becoming too sinister or alternatively, too watered down. I think the younger set will get a kick out of it. There may even be a lesson or two in there, but I didn’t feel like I was being bludgeoned to death with them which is always appreciated. Is it for adults? It clearly isn’t the target audience, but I certainly didn’t resent the experience, so I think adults could enjoy it. There are many moments of embarrassment felt by the characters which might seem a little silly to an adult, but I think the author has done a good job writing from a child’s point of view. If the reader can appreciate the story from that same point of view I believe it loses that silliness. I don’t read children’s fiction often, but this was a fun visit. 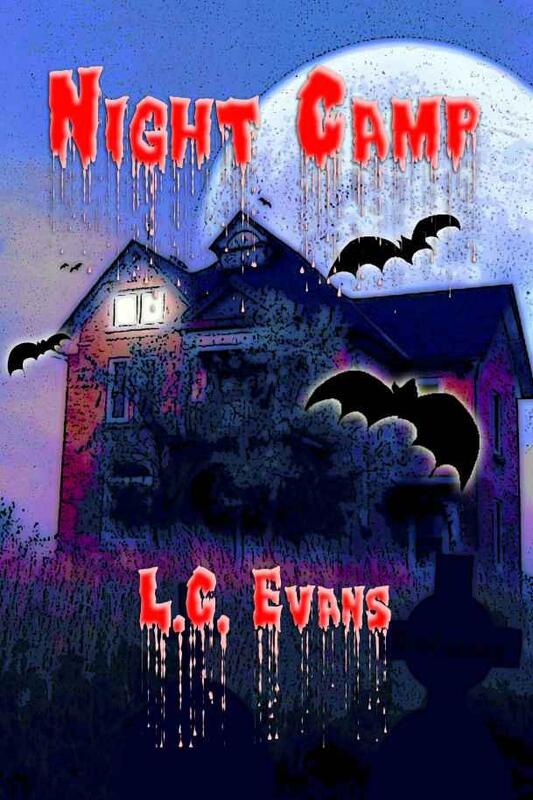 I hope this story can make its way into the hands of children so that they can experience the anticipation, creepiness and overall enjoyment of reading Night Camp. This entry was posted in 4, Mystery, Novel, Reviews and tagged Children's Fiction, Horror, Mystery. Bookmark the permalink. Great review Caleb, and thanks for the supreme effort.